Paloma Picasso, Elsa Peretti and Jean Schlumberger are three of Tiffany & Co.’s most renowned jewelry designers whose designs remain timeless favorites with Tiffany & Co. fans and shoppers. Here is a brief personal history of these creative minds, how they got their start at Tiffany & Co. and their ongoing legacy in the jewelry industry. 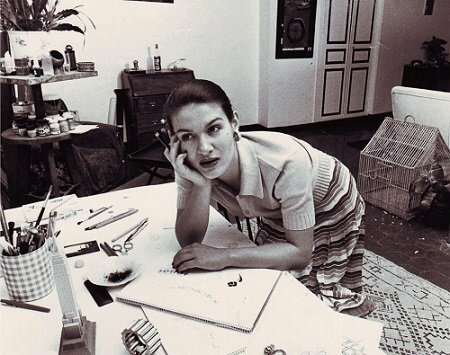 Born in 1949 to famed artist Pablo Picasso and his beloved muse, artist and critic Francoise Gilot, Paloma Picasso had artistic creativity in her veins. Her career in jewelry design began in Paris in 1968. Paloma was working as a costume designer when her rhinestone necklaces—made from loose stones she purchased at flea markets—began to pique the interest of fashion critics. This initial positive response inspired her to pursue an official education in jewelry design. Paloma graduated a year later. Soon thereafter her friend and lauded haute-couture designer Yves Saint Laurent commissioned Paloma to create exclusive jewelry pieces to complement his designs. From there, Paloma held a position with the Greek jewelry brand Zolotas before moving onto Tiffany & Co. in 1979 when she was invited by the then-Tiffany & Co. design director to create a table setting for a Tiffany & Co. exhibition. In 1980, Paloma debuted her first exclusive jewelry collection at Tiffany & Co. The collection, dubbed Graffiti, was influenced by the gritty graffiti emblazoned on New York City buildings. She deftly translated this unconventional inspiration source into a polished and contemporary jewelry collection of bold X’s and scribbles. 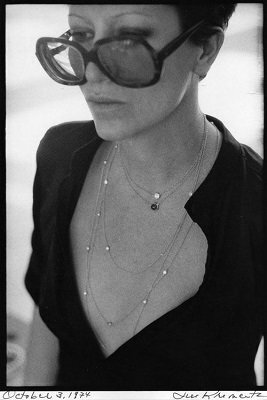 In 2010, Paloma celebrated her 30th anniversary working with Tiffany & Co.
Born in Florence, Italy in 1940, Elsa Peretti grew up in Rome. As the daughter of a wealthy family, Elsa was well educated and pursued a degree in interior design in Milan. Her creative spirit was aroused in Barcelona where she posed as a model for the painter Salvador Dali and became a part of his artistic inner circle. Elsa then traveled the world and met different artists and craftsmen who would later inspire her designs. Ultimately, Elsa settled in New York City in 1968 and became a fixture in fashionable artistic and literary groups that included Truman Capote, Andy Warhol, and Vogue editor Diana Vreeland. Continuing to work as a model, Elsa first designed jewelry collections for Giorgio Di Sant’Angelo and Halston where she served as a model, muse and designer. Then in 1974, Elsa joined Tiffany & Co.
Elsa’s collections for Tiffany & Co. are marked for their simple, sensual and organic designs, most commonly made of sterling silver. She explained that she aimed to design without excess and transitioned fine jewelry from special-occasion pieces into approachable styles that could be worn every day. A notable example of this is her Diamonds by the Yard collection which featured bezel-set diamonds spread out along a delicate chain necklace. Even still, her most famous design is the Open Heart pendant. Elsa credited sculptor Henry Moore as her inspiration. The pendant is an airy heart shape and remains one of Tiffany & Co.’s most recognized and celebrated styles. Jean Schlumberger was born in 1907 to a well-to-do French family whose family business was in textiles. Jean began his career working as a button designer for the wildly popular fashion designer Elsa Schiparelli throughout the 1930s. When World War II began, Jean enlisted in the French Army and bravely served at the Battle of Dunkirk, in England and the Middle East. After his tour of duty, Jean moved to New York and, with his friend and nephew of couturier Paul Poiret, Nicolas Bongard, ran a small jewelry shop. Here he resumed a friendship with Vogue editor Diana Vreeland, building a coterie of high-profile clients including socialite Babe Paley and fashion icon Gloria Guinness. In 1956, Jean was offered an impressive job title: vice president of Tiffany & Co. with his own department and complete creative control. Tiffany & Co. wanted to foray into more contemporary designs and Jean’s incredible talent and whimsical designs appealed to the staid jewelry brand. Jean’s designs for Tiffany & Co. drew inspiration from nature and the sea with starfish, shells, and even sea urchins working their way into Jean’s pieces. One of his most recognized designs are the Schlumberger Enamel Bracelets which were a particular favorite with Jacqueline Onassis. Jean also designed two settings for a very special diamond. 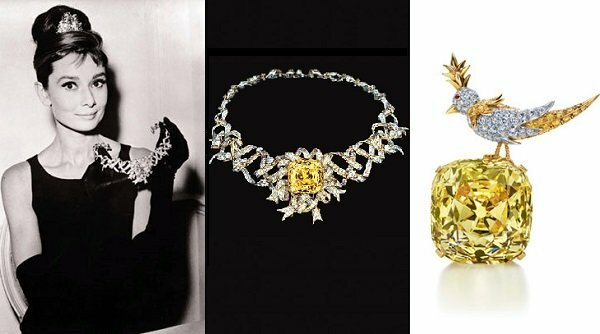 Dubbed the Tiffany Diamond, this gemstone was a stunning fancy yellow diamond, weighing an astounding 128.54 carats. Jean first set the stunning diamond in a now-famous “Bird Sitting on a Rock” mounting which is on display at the Musée des Arts Décoratifs in Paris. And then in 1961, Jean designed a necklace of diamond ribbons, featuring the Tiffany Diamond, for Audrey Hepburn to wear in publicity photos promoting the film Breakfast at Tiffany’s. Jean passed away in 1987 and his eccentric designs remain a favorite with Tiffany & Co. fans. TrueFacet is an online marketplace for pre-owned fine jewelry and watches. Every item sold is verified by our in-house team of gemologists and watch experts to ensure its authenticity. Which Hand Should I Wear My Watch On? What are Subdials and What Do They Do? Is it OK to Shower with Jewelry On? Copyright © 2014. TrueFacet, Inc. All Rights Reserved.